Avocados are packed with Vitamins A and C that gives skin a more youthful appearance and helps fights signs of aging. 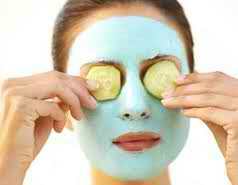 Regular pureed avocado fruit facials on acne prone skin may help kill acne bacteria to prevent or treat breakouts. Avocados are rich in fatty acids which makes them an ideal moisturizer.